ENB WEST: UN investigator of violence against women barred from UK detention center. UN investigator of violence against women barred from UK detention center. 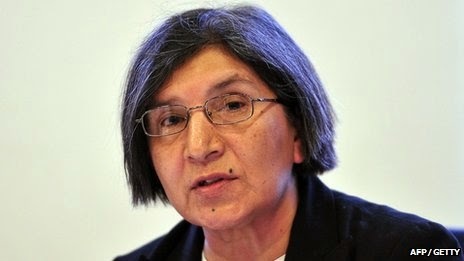 inmate said, “It’s not a detention center, it’s a prison.”Rashida Manjoo, a South African law professor and human rights expert who has worked for the UN since 2009, traveled to the UK on a 16-day fact-finding mission. During her visit, she hoped to learn about violence against women, but she was refused access to Yarl’s Wood immigration detention center in Bedfordshire. a phone call that I would not be allowed in.” She said she believed that the refusal to let her in to the removal center, which holds women and families facing deportation, had probably come from the Home Office. However, a spokesman for the Home Office said: “A tour of Yarl's Wood immigration removal center was never agreed as part of this fact-finding mission.” Manjoo was particularly interested in visiting Yarl’s Wood, which was opened in 2001, after a Jamaican woman, Christine Case, died on March 30 after allegedly being denied medical treatment. Hers was just the latest case of alleged mistreatment at the facility. Turkey. She originally moved to the UK aged eight, after her family was persecuted, and was taken to the detention center with her mother when she was 13. After being detained for three months at Yarl’s Wood, Meltem was eventually given indefinite leave to remain in the UK. She is now campaigning for the center to be closed and is highlighting just how hostile conditions are for those who have been taken there. third, or 1,902 of them were detained, according to official Home Office statistics. agreed to disclose their experiences in their home country which led them to seek asylum in the UK. can hold up to 405 individuals at any one time. Over 90 percent of asylum seekers said they felt depressed, 85 percent felt scared, and more than half confessed to thinking about killing themselves during their detention in the UK. More than one in five had tried to kill themselves, and one-third had been on suicide watch in detention. 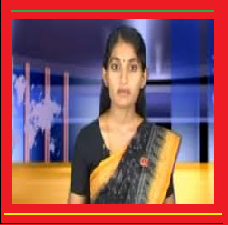 before she is due to report back to the UN Human Rights Council.